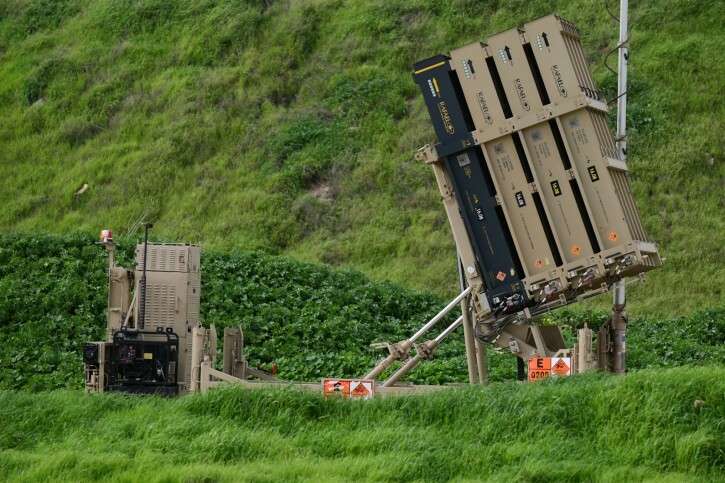 Tel Aviv – An Iron Dome air defense system was deployed in central Israel, near Tel Aviv, following threats by Syria to retaliate for an Israeli attack on Iranian targets in the country. “Does drawing the attention of the war-makers in this Council require us to exercise our legitimate right to self-defense and respond to Israeli aggression on Damascus International Airport by responding in the same way on Tel Aviv Airport?” Syria’s representative to the United Nations said on Wednesday. Additional Iron Dome batteries also were moved to southern Israel due to rising tension on the border with Gaza, the Kan national broadcaster reported. Meanwhile, Israeli troops operating near the border with Syria on Wednesday night were fired on, and returned fire, according to the Israel Defense Forces. The incident comes after Israel struck dozens of Iranian targets in Syria on Monday after Iran launched a missile at northern Israel on Sunday. That rocket launch followed a daytime Israeli airstrike on an Iranian weapons depot at Damascus International Airport.